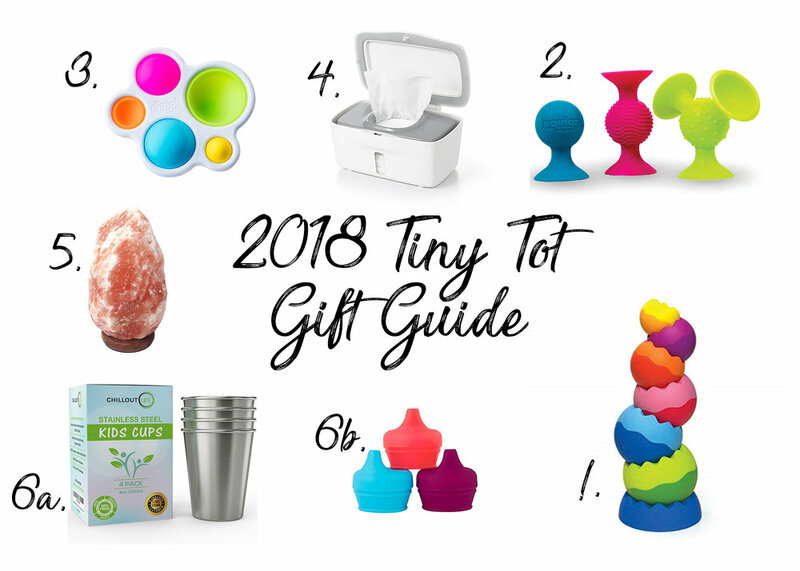 Christmas Gift Ideas for Your Crew! Fat Brain Toys Tobbles - These are adorable little stacking bowls, perfect for little ones working on motor skills! Fat Brain Toys Dimpl - I got this for Gunner for the trip to Peru as well. It’s one piece, easy to clean, lightweight, and great for motor skills! Himalayan Salt Lamp - Now this makes a great gift for adults too but I’m putting it here because it’s great if you have to get up in the night to nurse a babe. Make sure you buy one with a dimmer switch if you want it in your little one’s room. The soft pink glow is easy on your eyes and is relaxing. Plus it helps keep the air fresh! Magnatiles - Now, there are a zillion brands to choose from out there so look around before you buy. Magnatiles are the original brand and while they are great quality, they’re also a little pricey. We have Discovery Kids magnetic tiles at our house and Ellie plays with them almost daily! The only downside is that I recently discovered they’re smaller than several other brands so they aren’t compatible. Oops! If you don’t want to be tied to one brand, these are supposed to be compatible with most other magnetic tile sets out there. Fat Brain Toys Squigz - We don’t have these yet but I think they are so cool! They have Mini Squigz that look really cute so check them both out. Fat Brain Toys Simpl Dimpl - Ellie doesn’t know it yet but she’s getting one of these for her stocking stuffer. Think fidget spinner but even cooler! Piggy Paint 100% Non-toxic Nail Polish - Somehow I ended up with a very girly girl who loves pink + dresses + nail polish! Regular nail polish is full of a lot of harmful chemicals so I found Piggy Paint last year and Ellie loves it! I’ll probably get a couple new colors for stocking stuffers. The Chronicles of Narnia - C.S. Lewis was an incredible author and if you haven’t read Narnia, you are missing out. I’ve read it several times and I love it more every time. Ellie and I read it this year and even at 3-4 years old she loved them! Those Darn Squirrels series - These are hilarious little books about a grumpy old man and the bothersome but brilliant squirrels who live by his house. They go on vacation together in the second book and in the third they deal with the mean cat next door. Ellie thinks they are so funny! Half Baked Harvest Cookbook - This is quickly becoming my favorite cookbook! Lodge Cast Iron Skillet - If you like to cook, you need to have a cast iron skillet! Instant Pot - Y’all this thing get used all the time in our house. I even took it on our youth retreat last weekend! ha! I make soups, roasts, whole chicken, ribs, pork BBQ, wings, boiled eggs, steel cut oats, yogurt, and so much more in it. I have the 6 quart but as my kids get older I may wish I had the 8 quart. Bonus: Make sure you get the glass lid. This makes storing leftovers in the fridge a breeze! Magnolia Journal subscription - Yes, I went there. I love getting this magazine quarterly. It’s beautiful on the coffee table (if Gunner doesn’t rip it haha) and so is the content inside. The Magnolia Story - While we are at it, might as well list this one. I read it earlier this year and loved it. I was so inspired to dream and then to buckle down and work hard to take my business to the next level. Instax Printer - Do you love the look of the Instax prints but don’t want to carry around the camera? Well, I have the perfect solution for you! I love to print my photos and the instant prints are so cute but I knew I wouldn’t actually carry one around…enter the printer! This little guy lets you print any photo from your photo! I promise it’s so worth it. Be sure you get film with it too. Essential oils - So I’m a big fan of DoTerra essential oils. The quality is great and their rewards are on point. If you want to know more about oils feel free to shoot me an email! If you know you want to get oils for Christmas just use my ID# 492296 to start saving! Wool Dryer Balls - If you haven’t gotten dryer sheets out of your routine, jump off that ship and get these for yourself or a friend. They help cut down on dry time and static, plus they pair so well with essential oils to make your laundry smell amazing without any artificial fragrances. SanDisk iExpand Flash Drive - This little gizmo is the perfect way to get all the photos off your phone and save them in a second location so your memories are safe in case of a phone crash. Beartown Crossfit Membership - If you are local to Lebanon, VA, sign up for a membership at Beartown Crossfit! I joined about 18 months ago and I love it. I have gotten stronger and healthier. I worked out through pregnancy and it helped me feel great throughout pregnancy and after. Best of all, the community is incredible! Bonus: So since becoming parents Mike and I haven’t played the full board game with friends as often so I surprised him for our anniversary last year with this two person card game version! It’s so much fun. There are several variations to play that make the game longer of shorter. And last but not least…. Take advantage of the BOGO deal I have going on right now! Purchase 1 session and get a 2nd one 50% OFF! This is perfect to gift one to a family member or friend then you can finally book those family photos you’ve been talking about for who knows how long! Get all the info here then send me a message to book! Hope you all have a wonderful holiday season with your loved ones! Disclosure: Sometimes the links in my posts are affiliate links and if you go through them to make a purchase, I earn a very small commission (just a few cents). You are never charged any additional amount but sometimes you may get a discount! Any products I link to are ones that I personally am using or would love to use for myself/my family. This go round I made up my mind to take the time to write out Gunner’s birth story way sooner than 4 months after the fact (what I did after Ellie was born…oops). So here we are. It’s been two weeks since we welcomed this little guy into our world (it's 1 month now but I was waiting for my photos from Katy and to finish my birth video) and I can’t really fully describe how much sweeter he has made life. Sure, there are challenges to adjusting to life with two kiddos but Gunner has just fit right in so perfectly that it’s just felt seamless. This pregnancy was a much smoother journey than with Ellie. I mean, Ellie’s was still not that bad but this go round I just felt so much better and I worked really hard this time to take care of my body. I did Crossfit—I started back after 1st trimester exhaustion was gone and my last workout was 39 weeks pregnant (thanks Beartown Crossfit! )—and saw my massage therapist and chiropractor regularly too. I can’t speak highly enough about working out and chiropractic care during pregnancy! Gunner’s “guess date” was February 2nd, yes Groundhog Day! I had gone to the chiropractor for a massage + adjustment on Monday and decided to set up an appointment for an adjustment on Friday (if I hadn’t gone into labor by then) in hopes that it would help get things moving over the weekend. Sure enough, Friday morning came and no baby. I called the office to ask about having Cathy (massage therapist) do some reflexology on my feet as well. Since the snow was coming down and our driveway + the roads were covered, Mike had taken the SUV to work but thankfully my mom was able to take me to my appointment. My feet were so puffy that morning and I really felt like the end was so close! After my appointment Mom, Ellie, and I swung by Food City quick to get a few groceries then we headed home. Ellie and I took a bubble bath then snuggled and napped together. At suppertime Ellie was dying to paint Gunner a birthday picture so I set up our big roll of art paper and paints in the kitchen floor for her to paint. All of a sudden I felt like maybe I peed in my pants! Ha! Of course, my next thought was that my water had broken but it wasn’t at all like it did with Ellie. Before, I felt a “pop” in the middle of the night, wiggled out of bed as fast as possible, and a gush of water splashed onto the floor, immediately followed by my first contraction. This time it was just like 3 small gushes then that was it. Nothing. I text my midwife and she was pretty sure it was my water too so she told me to take some vitamin C and to rest. That was around 8pm. So Mike and I finished supper, did the dishes, vacuumed the house, cleaned the bathroom, then we pulled out the plastic and the birth pool. Of course Ellie was SO excited about blowing up the birth pool! Ever since I had pulled it out of the closet and set it in the office a couple weeks ago she had been begging to blow it up! Silly girl! ;] She had to get in and test it all out by pretending to swim and then having her own water birth. After we finished that we read some Bible stories with Ellie, talked about her baby Gunner coming in the morning, prayed together, and I snuggled with her till she fell asleep. I think sometime past midnight I had my first light contraction. We finally got to bed and I was able to sleep on and off until around 3:30am. At that point the contractions were just annoying and I needed to move through them so I went to the bathroom and would alternate between sitting on the toilet and swaying, just whatever felt best at the time. I stayed in the bathroom by myself till 4:45. Now don’t laugh at me here…pinky promise?! I played Panda Pop. Haha I was determined to just breathe and work through these contractions alone so that Mike and Ellie would get a good night of sleep so playing the game was a good distraction. Also, sometime during that time I heard Ellie wake up and I thought for sure she would come to the bathroom. Nope! Thankfully she went to our bed, pulled out one of the storage boxes underneath, climbed up and snuggled in beside her daddy, and went right back to sleep! That was totally the grace of God because He knew I needed the peace at that time. Anyway, at 4:45am I called my midwife and let her know that my contractions had been 4-5 minutes apart, lasting at least 1 minute, for 1 hour so she got ready and headed out. I finally went ahead and woke Mike up and asked him to fill up the birth pool. Around 5:30am you-know-who came down the hallway, rubbing her eyes, wondering what was going on. She immediately requested flakes…frosted flakes cereal…so she and Mike ate some breakfast and we talked about Baby Gunner coming soon. I called Katy to let her know things were moving and that she should head out in a bit, but I didn’t think there was any rush (remember this…). A little after this my contractions got a little shorter but they picked up the intensity and I was getting so tired. I remember sitting on the exercise ball and leaning my forehead over onto the edge of the birth pool just dying to take a nap. Thankfully I didn’t have any back labor this time but goodness, I felt every contraction so strong right at the top of my pubic bone! DeEtte arrived right around 6:30am and Mike helped her bring everything in the house. (Gosh, let me tell you, every time that door opened it was a freezing cold burst of air! I think it was about 14 degrees out that morning!) Once all of the supplies were in DeEtte checked me and was surprised to find that I was already at 7cm! Hooray! I finally got into the pool and it was great! Of course, Ellie had to get in and swim around with me since she had been begging to get in for the last hour! Ha! I had Mike call my mom at this point to let her know I was at 7cm and to tell her to come on over. Donna (midwife #2) arrived just as the sun was coming up, so just a few minutes past 7am. DeEtte asked her how far along she thought I was. She guessed 4cm; I was really quite pleased to be able to say “nope! 7cm!” Not long after that I really felt like I had to use the bathroom so Mike handed me a towel and I went to the bathroom. As soon as I sat down I realized very quickly that “uh nope, I’m pushing! Oh shoot! This is intense!” I called for Donna and she helped me breathe through it and got me back in the birth pool. It was 7:20am at this point. Fact: Katy still wasn’t here at this point and neither was my mom--mind you she literally lives just across the road so I'm still not sure how that happened. So pushing this go round was sooo much different. With Ellie I had a paracervical block so when I reached 10cm, it was like “ok you can push whenever you’re ready.” This time my body was pushing whether I was ready or not and I literally had to very consciously slow my body down. At this point I turned from my back to hands and knees multiple times to try to get comfortable and nothing really helped. I had to have Mike get Ellie out of the pool so I could focus. Ellie wasn’t happy about that but after she talked with Daddy she was ok, minus a little whimpering. 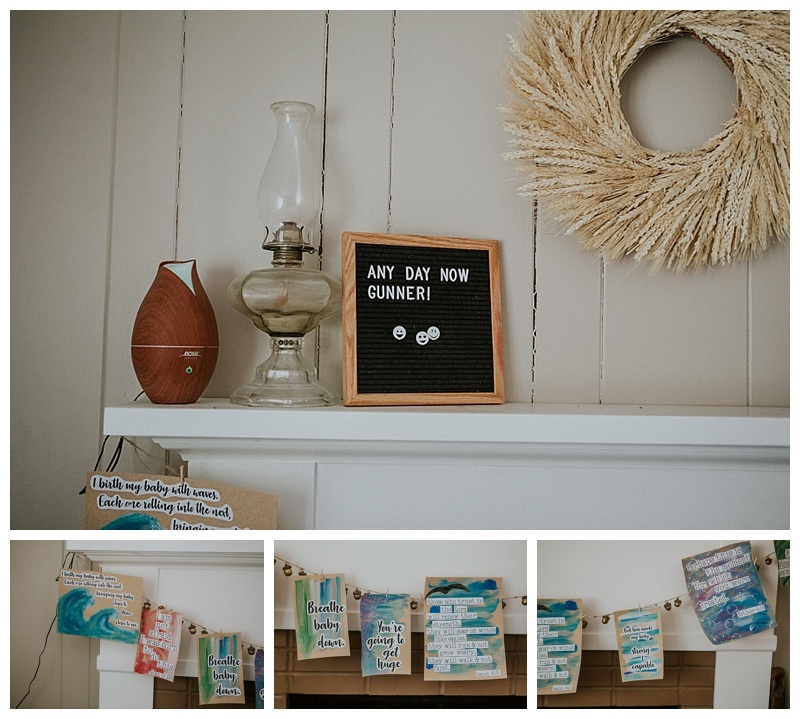 I breathed as slow as I could and I kept thinking of Ina May’s saying, “you’re going to get huge” as well as the rest of my birth affirmations that I’d hung on the mantle. I kept my hand on Gunner’s head a lot and I even talked to him. I don’t remember this but apparently as I was crowning I said something along the lines of “I have to wait! Katy isn’t here yet!” I was even giving Mike directions on getting a couple video clips. Haha! Only a photographer! Like I said, such a different birth than with Ellie. So, Katy rushed in the door at this point, camera already out, and I was [mentally] like, “alright, go time.” Just a contraction or two later his head was out but the cord was around his neck. By the grace of God, DeEtte and I had talked just a few days before about what they do in that situation and I had no fear at all! I was completely calm and just listened to DeEtte as she told me to wait and not push while she slipped the cord around his shoulders. Once she did that, I was able to push with the next contraction and out he came at 7:43am! He was actually quite blue but after rubbing on his back for a second he let out a loud cry to announce that he was fine and dandy. Of course Ellie was instantly laying on the couch, hanging over the edge of the pool, rubbing his head, holding his hand, kissing him even, and asking to hold him! I really can’t say how thankful I am for how well Ellie did that day (and even in general with Gunner every day since)! After I caught my breath and had a moment to enjoy holding Gunner (plus direct Mike in getting some video haha), everyone helped me out of the pool so we could move to the bed and get cleaned up. As I was laying there and my midwives were bustling around doing things, checking on me, and such, I felt like my stomach was really wet and warm…I lifted up the towel to find that Gunner had pooped all over me, just like his sister did! Silly kiddos of mine! About this time my mom came rushing in, boohooing that she had missed it, and wanting to see him! I’ve cracked up over that because my parents live within sight and somehow she missed it! My dad came in to see Gunner not long after since he had to get around to feed all the cattle. Then came the weighing and measuring. I was just about spot on guessing his weight…only 1 ounce off! He weighed 8lb 3oz and was 21.5” long. The sweetest moment was when Mike was holding Gunner and Ellie came climbing up on the bed wearing a sparkly red dress, begging to hold him! We had to convince her to take it off so she wouldn’t get glitter on him. She was so smitten with him, rocking him, talking about teaching him new things, kissing him, and everything! After I got showered and back in bed, my Mimi and Popaw came over and Ellie was SO proud to show off her baby Gunner to them! Once everyone headed out it was time for a nap. Ellie, Gunner, and I snuggled up in our bed and we took a nap. I’ve never felt my heart so full as I did then, one on each arm! It’s funny how it works, just learning to love this new tiny person who just burst into your world, because it really isn’t learning at all—it just happens. And now that you've read the story, here's Gunner's birth video! I actually videoed 80% of it and gave Mike direction for the rest of it. Ha! Hey again! As you can clearly tell, I did NOT do very well blogging in 2017. I shot so many beautiful weddings, engagements, families, seniors, and births this past year but gosh darn it I am terrible at setting aside time to blog about all of these beautiful Homegrown Love Stories that I get to witness. So, as I've been prepping for 2018 I've decided that I'm going to have to plan to schedule days for blogging! Wish me luck! And I'm not blogging at least 1-2x a month, someone holler at me and kick my booty in gear because I just have too many great love stories to share! Where to begin? Oh, right, back to the birth story of sweet Emery Drew! It was a rainy May morning when I got the call that it would be the day! I gathered all my things and talked with my mom, making plans to drop Ellie off at her house a little later. Once things finally picked up pace I headed out to BRMC. Mary Kate + Jared, thanks for inviting me to be part of such a special day. I hope these images and your video are so treasured and that one day Emery loves seeing the story of her birth day! It was such a joy to be there and celebrate with you and your family! So I'm back. And this time you better grab your tissues because I have the sweetest birth story. I love all births but this one is extra special. 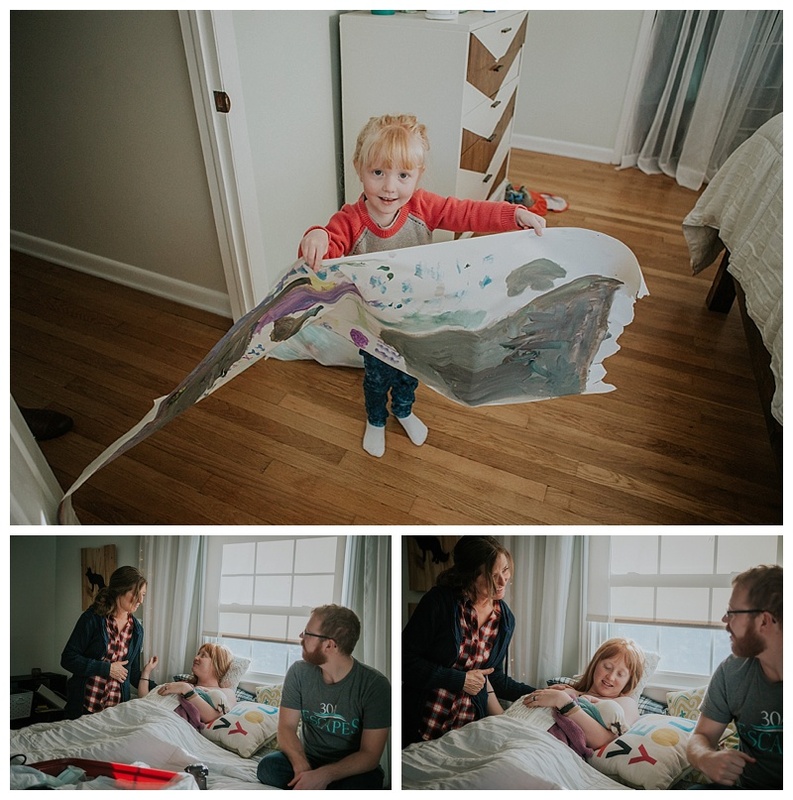 You see, Caitlin and Tyler are my first bride and groom to book me for their birth story. I can't really put into words how much it means to me that a couple would continue to trust me again and again with some of the most special memories in their life. It makes them just feel like the sweetest friends. And honestly, these two are so special to Mike and me! They just love Ellie (she even attended their wedding). 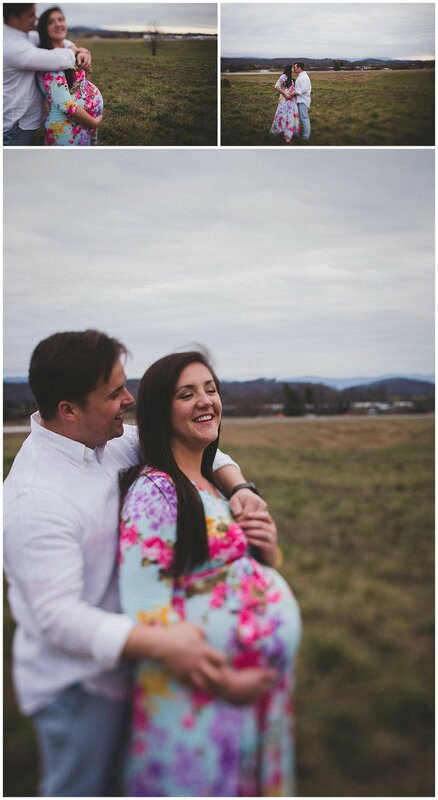 At their maternity sessions it was just the sweetest thing seeing Tyler play and chase her around with a piece of hay! And after seeing that and the pride on his face right after his baby boy was born, I have no doubt he will be a fantastic dad. And Caitlin, I cried editing this video and the photos because she is so tenderhearted, so full of joy, and motherhood suits her so well! I want to give a little back story for you. You may wonder, why did you take a bunch of clips of the rain? Well, on Caitlin and Tyler's wedding day it decided to pour the rain...just like it did the night that Beau was born. I loved it because God orchestrates even the smallest details of our stories! Caitlin and Tyler, you guys are awesome and I am so thankful for your friendship! I hope you absolutely treasure these images and video for years to come. I pray that when you watch the video, it takes you right back to that very late night that little (or not so little ;] hehe ) Beau made his grand entrance and you can remember that flood of emotions, the tears rolling down your cheeks, the sweet smell of baby, and how it felt to hold your boy for the very first time as a mama. I love you all! 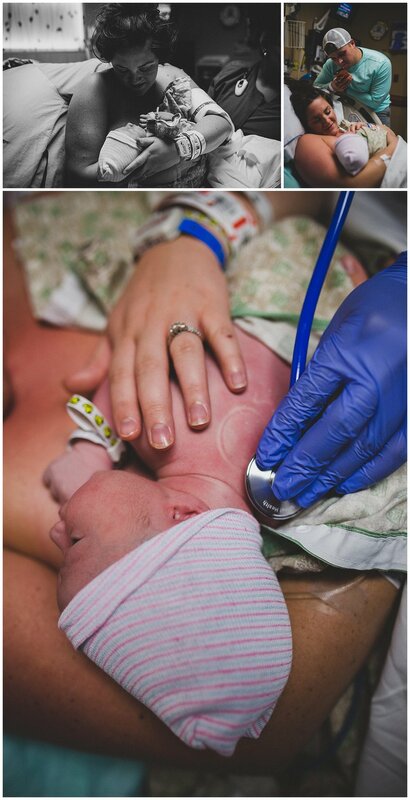 So grab a tissue and enjoy the birth story of sweet Beau Steven! This is Caitlin + Tyler. I photographed their wedding about 2 years ago. (And yes, the previous post is about Tyler's brother and his family) I love these two a whole bunch! 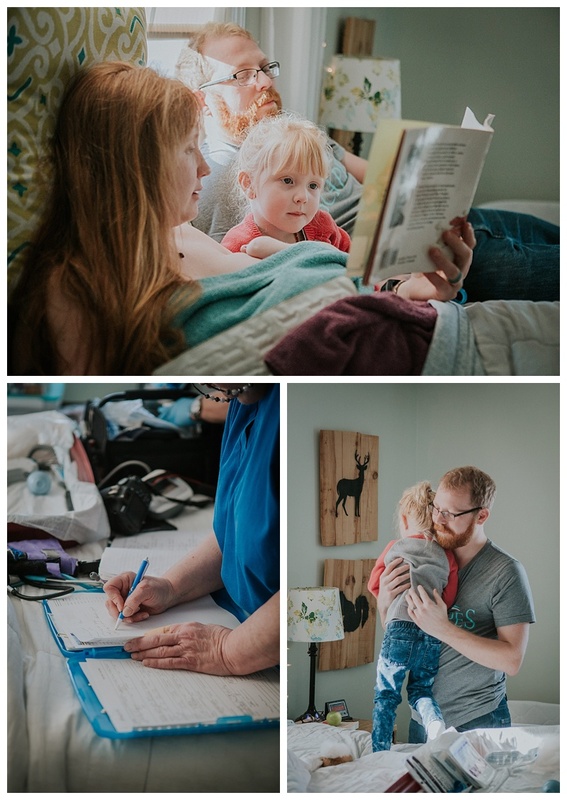 When I found out Caitlin was pregnant I was over the moon excited for them and when she asked me to photograph their Birth Story I think I about died of excitement! This past Saturday, very early in the morning, before the sun was even awake, their baby boy made his grand arrival! Before I share their Birth Story, I wanted to share some of my favorites from their mini maternity session. These are always some of my favorite sessions. 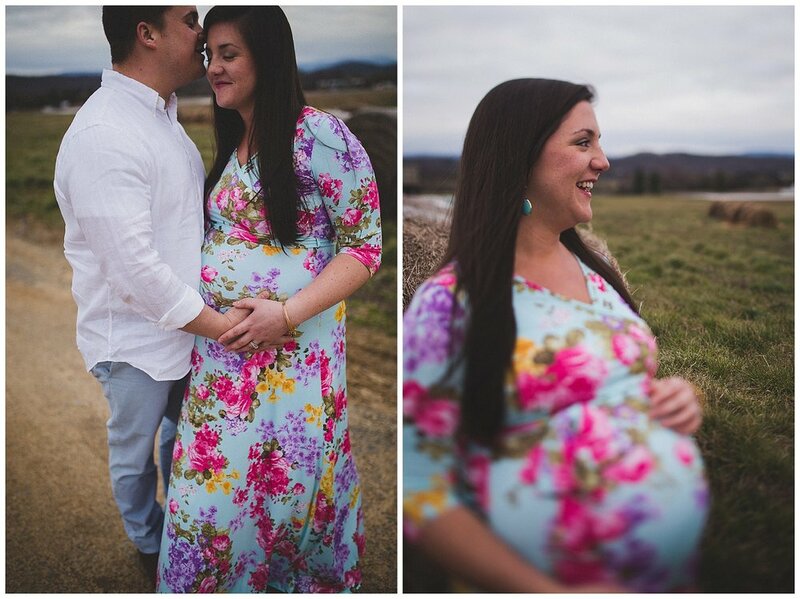 I love working with married couples who are expecting their first baby. It's so fun to see them snuggle, talk, and dream about this new little one who is about to join their family! Anyway, I will save the talking for their Birth Story and let these photos do the talking!